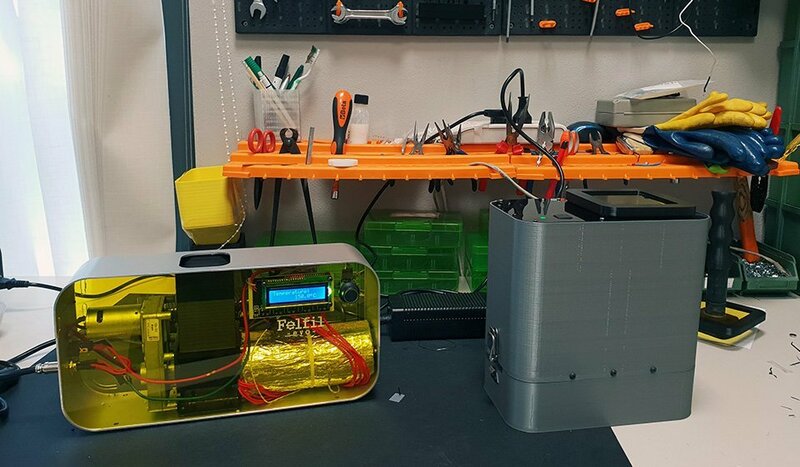 According to our company values, and specifically eco-sustainability for 3D printing, we would like our fans being able to take part in the plastic recycling process from the start, just after the plastic is consumed. 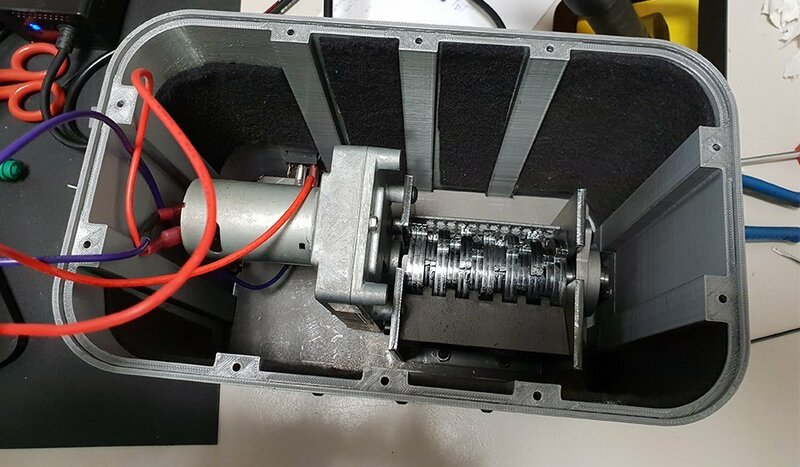 Now, to use a filament extruder, you need to buy industrial pellets or shred your plastic with some alternative methods, such as using a blender or a hammer to reduce the plastic material in little pieces that fit into the extruder, which are often uncomfortable. 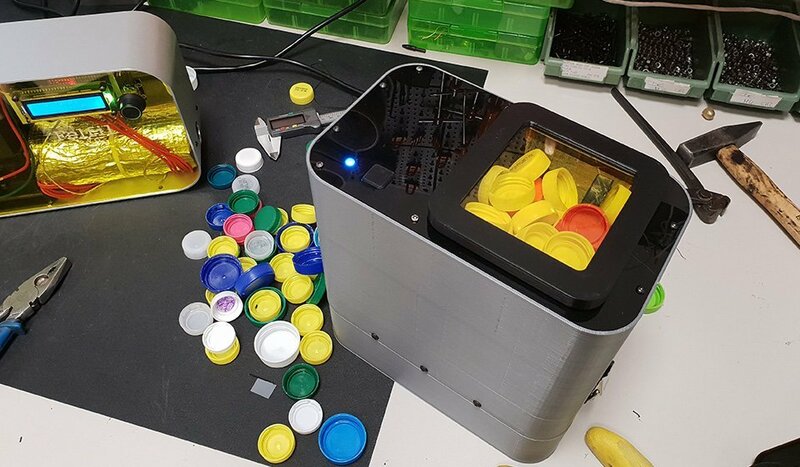 Felfil Evo was the first step towards the domestic plastic recycling system we are developing, which aim is to allow anyone to produce custom filament for their 3D printings independently and in a sustainable way. But we would like our fans to go further. 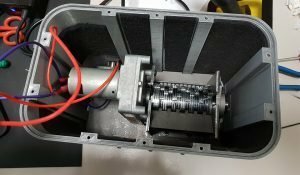 Here comes Tritino, the desktop plastic shredder we are developing: it is thought to be an easy way to complete the plastic recycling process at home, starting from the basics. In fact, Tritino is made to complement Felfil Evo. Take some plastic material, shred it in an easy way using Tritino, put it in the hopper of Felfil Evo and start extruding: from plastic waste, now you have a new filament. Tritino is still in its prototype stage; it was proposed as a first-draft project for the OpenMaker Call, and then selected as one of the twenty winning ones. 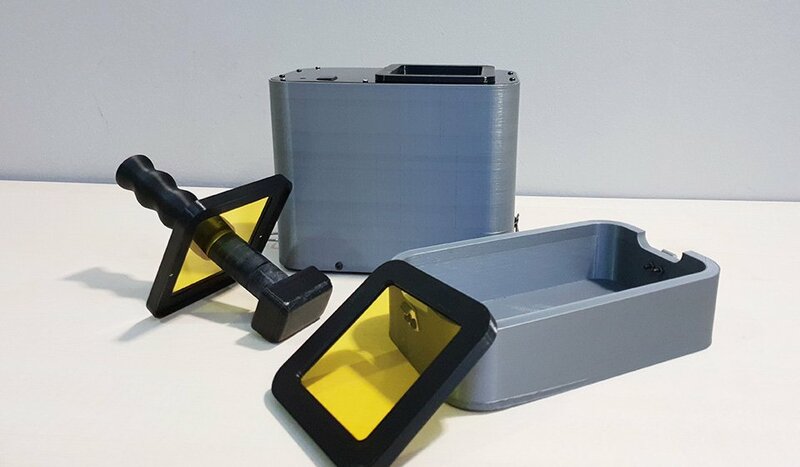 The prize assigned by OpenMaker helped us kick-off our idea, so we realized the first prototype, that you can see in the pictures below. Since Tritino is still in its early stage, we don’t know yet when it will be available. If you want to stay updated on Tritino development, fill the form below! Stay updated about Tritino development!